This popular post is now bigger and better than ever! 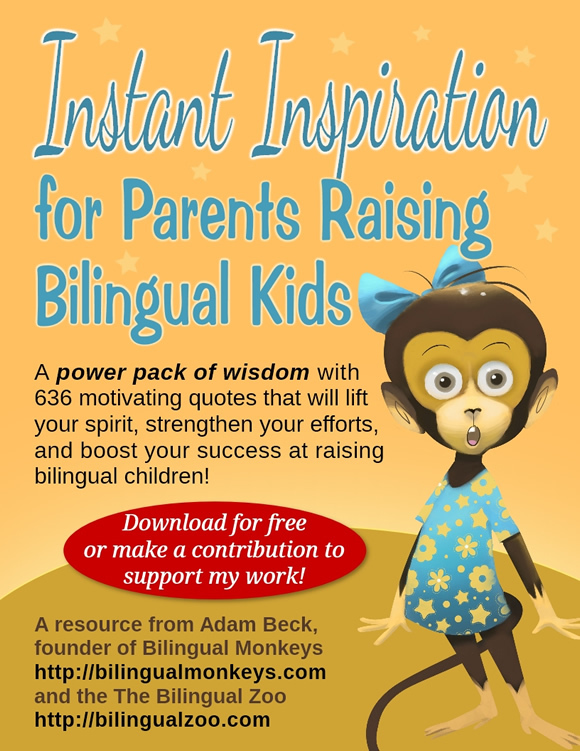 With 50 tips, and over 6,000 words, you’ll find a wealth of ideas to help strengthen your success in bringing up bilingual children. You can also freely download the whole post as a handy PDF file for saving, printing, and sharing! Download this post as a PDF file. Or if you’d prefer to watch a playlist of videos covering all these tips, you can do that, too! Go to Bilingual Monkeys TV, my YouTube channel. Set a clear goal for your child’s ability in the minority language. Will you be content with oral fluency, and less concerned with reading and writing? Or is literacy important to you, too, and you’d like to see her read and write at the level of a monolingual child? Whatever your goal is, articulate it, and make sure that your efforts match the goal you seek. Good reading and writing ability are attainable, but this goal will require a diligent commitment from both you and your child. By making a practice of giving books in the minority language as gifts for birthdays, Christmas, and other special occasions—and encouraging family and friends to do the same for your kids—you achieve three important things: 1) You help foster their love of books and literacy; 2) You convey the idea that books are special and valued by their loved ones (including Santa); and 3) You continue growing your home library, which should be an ongoing effort. This will naturally depend on your location and target language, but perhaps the public library in your area has a selection of picture books that you can access for free—it can’t hurt to investigate. Here in Hiroshima, the children’s library has a fairly large collection of books in such languages as English, Chinese, Korean, French, German, and Russian. Maybe your local library has books in minority languages, too, or would be willing to acquire some. Games in the minority language—like board games, card games, word games, and storytelling games—are another resource to gather for your home. Children love to play games, and there are no doubt good games available in your target language that would be fun to play and effective in promoting language exposure. (You can also consider games published in other languages, yet don’t rely on reading, since these can be played in any language as long as you know the rules!) For a more harmonious home, I would recommend balancing the usual “competitive games” (which can leave kids in tears) with “cooperative games” (where the players work as a team). 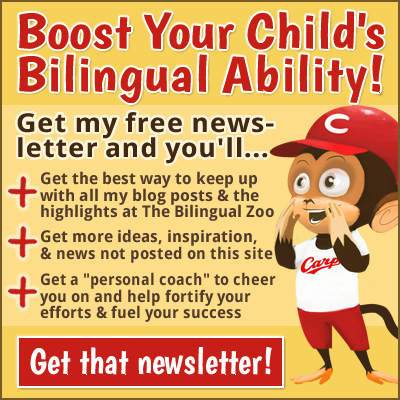 My free newsletter includes links to the highlights of Bilingual Monkeys and The Bilingual Zoo as well as additional content and timely announcements. Emailed straight to your inbox, the newsletter provides ongoing tips and encouragement to help you make the most of your days when it comes to nurturing your children’s language ability. Like a personal coach, I’ll check in with you regularly to help keep your commitment firmly in mind and motivate you to continue trying your best for the sake of your children’s bilingual future. Click to subscribe to my newsletter. How about you? Have another idea to add to this list of tips for raising bilingual kids? These are all great tips!! So happy to have discovered your site!! Thank you, Diana! I’m glad you’re here! I am a mother of two and I am raising them up to be multilingual babies. My son is 2 and my daughter is 3 and 7 months. Their mother tongue is Arabic and now they speak English and Russian! Three different languages! 1- they speak Arabic 50% of their time. 2- they speak English 30% of their time. 3- they say sentences that start with Arabic words and end with an English or a Russian word 10% of their time. 4- they say Russian words 10% of their time. 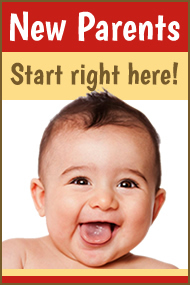 1- Start with your baby at the age of 3 months. 2- Use nursery songs for your target language. 3- Teach your baby the objects around him/her in the target language. 4- Start from the home objects around your baby (bed, banana, table, spoon, plate, fork, water, food, body parts, etc.). 5- Songs, songs and songs. Music is the best way to teach a language. 6- Repeat, repeat and repeat. Repeat the song as much as you can. 7- If your baby asks you a question in a language, answer in the target language, use facial and body gestures when responding to your baby. 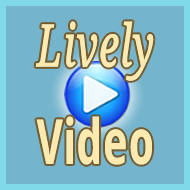 8- Download cartoons from Youtube (nursery songs and cartoons) that match your baby’s interests, gender, age and linguistic ability. 9- Raising up two babies to be bilingual or multilingual is easier than raising one baby up, they will communicate in the target language with each other, so your mission will be easier. 10- Don’t be in a hurry, the process requires time. Ann, thank you for adding these helpful tips. Every family is different, of course, but in my case, because my children attend a majority language school, this language has become their main means of communication between one another. So, although it’s true that they often used the minority language as a shared language prior to entering school, the majority language has subsequently grown dominant for their personal communication. In fact, I wish they would use the minority language more, but this preference can’t be controlled very well because it depends on larger factors. So, once children start schooling in the majority language, there’s a natural tendency for them to lean on this language when they speak to each other. Ann, thank you for your comment. I’m glad to hear that you’re making steady progress on your multilingual journey. I don’t know the details of your situation, so I can’t respond concretely, but assuming you live in an Arabic-speaking country and your children’s Arabic seems to be growing dominant, more emphasis may be needed on their exposure to English. There might be important reasons for nurturing their Russian now, but if not, I’m afraid that time spent on Russian could be “stealing away” time for English and act as a “drag” on their English development. Meanwhile, Arabic will continue to grow stronger, and that percentage of 50% could rise higher, especially after they enter a majority language school. So, if fostering active ability in English is important to you, I suggest emphasizing English even more while they’re small, before schooling begins. I send best wishes from Japan! Pablo, it’s hard to offer specific advice without knowing the details of your situation (where you live, the language background of the parents, information about the third language, etc.). Generally speaking, if you live in an English-majority country and you and your wife are fluent in Spanish, I think you’d probably experience stronger success over the long term if you use the “minority language at home” approach, where both you and your wife speak Spanish with the child and English is acquired from school and society. In other words, the family uses Spanish inside the home and uses English outside the home (or the distinction could be using Spanish among yourselves, both inside and outside the home, but using English when others are present). As for the third language, that could be handled in various ways, either early or later, but this really depends on the many variables of your particular situation. Best wishes as you embark on your bilingual (trilingual) journey! If you haven’t already come across it, this resource page for new parents could be of special interest. What a wonderful list of tips! We are an OPOL family and we use various strategies with our kids. Being consistent and having fun are crucial. Thank you for sharing your experience. Amanda, I appreciate your kind comment! And I absolutely agree that “being consistent and having fun are crucial” in this quest to raise bilingual kids. I wish you and your family all the best! Great!! Just shared this on my FB page. Keep up the good work!! Thanks so much for sharing this post, Annika! Thanks for all these great tips! I’m a mother of two bilingual (Russian/Spanish) children of 10 and 1,5 years. I’ve used most of the strategies you mentioned, but haven’t been consistent with all of them. I’ve never heard about “Cloning yourself”. It should be very useful for parents who can’t spend much time with kids! Also, with “the captive reading” you reminded me of something I’ve been meaning to do for my daughter – writing “Good morning” notes, as sometimes she wakes up earlier than myself! Joselyn, hello! Thank you for your comment! Yes, I found cloning myself a fun and effective way to increase the amount of exposure in the minority language. As for writing notes, this is something I’m hoping to do even more frequently this year by slipping “secret” messages into my children’s school bags. Thanks for all the great tips! We practice the minority language at home, and my favorite tip that you provided was “giving books as gifts.” My husband and I started doing that as soon as my boys were born, and on Christmas and birthdays they always receive a book and they both love it. At first, it does feel a little weird taking a book as a gift to other people, but I think it’s important to promote literacy to other children. Kids only need so many toys, so a book is always great and something different. We started reading to our boys from day 1, and they both prefer to be read to than to play with toys when they really need stimulation. Great advice on your part. Thank you for sharing your experience! Giving books not only to our own kids, but other children as well, is a wonderful way to promote a wider love of literacy. And there are so many terrific books out there—with a little bit of digging, it’s always possible to find the “right” book for every child. Thanks again for your wise perspective! Gerry, thanks for reaching out. This is an important issue for many parents, so I’ve responded in a full post. Please see What to Do When Your Bilingual Child Won’t Speak Your Language. I hope this article is helpful to you! First you need to make a kind of an agreement with your wife that you need to raise your kids up to be bilingual (because this is very important for their future, study and career). English now is not a language, it is a tool to get a good job. You need her help. Do not force your kids to speak in English, let them like English. Download kids’ songs and cartoons in English, ask them what do they like to watch, seek their interests and cope with them. Play with them as much as you can. Let them love English as they love you. They must realize that English is part of their father. Your mission will never be easy because everything around your kids is French, however, your effort is worthy. If you can, let your kids join a summer English course, that might be helpful. Hi, just wanted to say thanks for this great website! I live in the UK and have two bilingual kids (Czech and English). When my eldest was born, in 2000, there weren’t that many resources on the web so I had to follow my “gut feeling” and ignore those “naysayers”, as you call them I think one becomes very resourceful when it comes to bringing their kids up bilingually. I would agree with all your points and add one more. I think it’s also important to expose your children to different registers and dialects. I used to take on different personas in role play and use language and words that I wouldn’t use normally: posh people, well-educated people, not-so-well-educated people, drunks, nuns, policemen, people from the north/south etc. Whatever took my fancy And that involved some rude words too. I knew no other Czech people in the UK then so it was hard work but it’s paid off as both my children (now 10 and 12) are totally bilingual. It’s not over yet, though, and I would say it becomes harder as they get older… Thanks again for your posts. Jana, thanks for your kind comment. Your suggestion about expanding the range of the target language is great, and it sounds like it could also be really fun, in a “theatrical” sort of way. Because of my background in theater, this idea really appeals to me and I plan to pursue it with my kids. So thanks for the inspiration! Congratulations for the very good site and the subject about tips for raising bilingual kids. I have a question about starting to teach kids to reading in the minority language. I am Brazilian, my daughter speaks Portuguese very well, we live in New Zealand and she speaks English very well as well, but this year she started school and she is learning to read in English. Can I teach her to read in Portuguese in the same time or can confuse her at this stage? She is just 5 years old, should I wait to do that? Maria, welcome! I’m happy to hear you’re finding my site useful. As for your question, because I don’t have a background in Portuguese, I’m not sure I can respond specifically to your situation. However, I think it’s often a good idea to move early, yet gently, when it comes to literacy in the minority language. In other words, if you’ve been reading aloud to your daughter daily in Portuguese—and now she’s learning to read in English in school—I expect that she will naturally begin to read Portuguese picture books, too. In your case, since the writing system is largely the same with these two languages (I think! ), I’m not sure you really need to “teach” her to read in Portuguese. If you simply provide enough exposure to children’s books in Portuguese, I’m guessing her reading ability in both languages will grow alongside one another. Best of luck! For an overview of my thoughts on reading, please see my PDF “report” The Power of Reading in Raising a Bilingual Child. Great tips, thank you! Fueling natural passions I believe is paramount to successful learning. Yes, if we make a point of matching our methods and materials to our children’s passions, we’ll definitely make better progress on this bilingual journey. Those tips are great and made me think a lot about the challenges I’ll face. My biggest concern is that both the mother and I are moving to Switzerland, which is country we do not speak the language. So our (minority) language would be Portuguese whereas the community (majority) language would be swiss-german. We both speak English however this is somewhere in the middle. Is there anything we could do to faciliate the child learning swiss-german? My biggest fear is the child going to school and not understanding a single word the teacher says. Fernando, I understand your concern. When I was a teacher at Hiroshima International School, I often worked with new students who spoke no English (the main language of the school) when they first arrived. There’s no getting around the fact that the children, and their parents, faced some challenges in this situation, but in time—usually in a year or two—the children became able to communicate reasonably well in English and make growing progress academically as well. So try to take a longer view of the situation. You don’t mention how old your child is (younger children can make the transition more smoothly), or how long you plan to be in Switzerland (a longer stay will naturally give the new language more time to develop), but I expect, with the school’s support, that everything will work out fine for your family. Best wishes to you all! Cecille, thanks for your kind comment. Yes, much of what I’ve learned as a teacher I make use of with my own children. I’m not always successful at “making it fun,” of course, but I do try. After all, if this isn’t generally fun for the parent (or teacher), too, it becomes that much harder to maintain our daily motivation and effort. In our family I speak Romanian to our 2,5 years old son and my husband Greek. Currently our toddler began to reply to me only in Greek and I got worried. I’ll try some of your tips to improve the situation. I began to talk to him in Romanian since birth because I wanted to talk to somebody in my mother language. Then, I began to keep a journal (in Romanian) about his activities and first things he has done (first word, last breastfeeding etc.). It was selfish again, just to make him later learn the language so he could read about himself. And the last thing. In Greece, there always has been a negative reaction when I was speaking Romanian outside the house. So, for quite a long time, I used to speak to my son in Greek when we were playing in a park, for example. It was wrong of course, but very hard for me to pass over this kind of frustration. The child feels and understands more than we can imagine and my switch to another language was making him act strange (false laugh, for example). Now, we are asked by other kids in what language the conversation is held and often they try to learn some words in Romanian. Also, I’m glad to hear that the situation with using Romanian outside the house is becoming more positive. It’s true, some people may react negatively, and that’s uncomfortable, but your son’s bilingual ability is ultimately far more important to your life than the feelings of a few strangers. I’m cheering for you, Tatiana! Stay strong! Adam, in less than two weeks we are having amazing results! It’s incredible how quick the situation changed. First of all, I ceased to reply to my son when he was talking to me in Greek and he understood that with me the conversations are going to be held only in Romanian. Second, reading books in the morning while we are having breakfast wasn’t a pleasant experience for me. I needed 10 minutes to eat without disturbance…you know, the feeling of permanent interfering. After reading your tips, telling stories in Romanian became such a great experience. I have a goal now and we are having so much fun. It’s not a burden anymore!!! As a result, my son switches languages immediately and even during his sleep he is able to talk to me in Romanian. I am so grateful to you for your tips. Thank you very much, Adam! Thanks so much for following up on your situation, Tatiana. You made my day and I look forward to hearing more good news from you as time passes. Thank you so much for this great post! My daughter is almost 10 months and I’ve only been speaking German with her (I’m the only one who can speak German) while everyone else speaks English. I’m worried about the amount of German exposure she gets – I work part time so most of the day is English. I want her to know enough to be able to communicate with my family that still lives in Germany. I will have to get some German videos and songs that I can give to my caregivers (which luckily happen to be my in-laws) to expose her even more. I hope that she will be able to speak German, but this is something that really worries me. The positive side to your situation is that your daughter is still less than a year old. If you do your very best to nurture her German during the first few years of her life, I expect you’ll gradually see good progress. I look forward to hearing happy news from you, Jennifer! Please keep me posted as time goes by! Jennifer, hello! I am not an expert at all and I can only tell you my side of story. Yes, it’s quite difficult to raise a bilingual child and being alarmed is something normal. As Adam noted, your daughter is still 10 months old, so you have “plenty of room” for setting the rules of a bilingual atmosphere. Your situation is similar to mine. I got worried when my son was 2.5 years old. I suppose when the time spent together is turned into a funny and a qualitative one, the hard part just vanishes. In my case, the big difference was telling stories in the morning at breakfast time (Adam’s tip), (beside the evening stories, of course) and making clear to my child that with me the conversations are going to be held in my native language only. In less than two weeks I could see a huge difference. And please, note that in my case only I speak Romanian, whilst my toddler is totally exposed to Greek language. So, do not be worried. You just have to persist on your decision. You may feel alone, but you aren’t. We are all here to help each other and Adam is making a great job by writing all these interesting articles. Good luck and try to have fun, in spite of the tiredness and the exhaustion a parent may feel. Tatiana, thanks so much for adding this warm and wise perspective! Wow, lot of good ideas on how to raise bilingual children. My son is now 20mths and has been attending bilingual daycare (German-English) here in Sydney. His language has come a far way since he started at 13mths. He has a really good mix of German (my native language) and English. I am sure glad I found this daycare, as it adds to the hours he’s exposed to German. Not sure, what I will do once he has to go to school. Int’l schools are pretty expensive…. I like the pen-pal idea, as I have a few friends back home in Germany with kids in the same age, so that would be something we can encourage. I’ll keep my eyes out for more interesting ideas on raising bilingual monkeys. Sandra, thanks! A strong start is especially important for the minority language to keep pace with the majority language, and it sounds like you and your son are doing really well. Keep up the good efforts in German each day and make adjustments, as needed, to continue meeting the needs of your evolving circumstances. Best of luck on your bilingual journey! Thank you so much for creating this great site and sharing your advice. I also live in Japan (Osaka pref), with my Japanese husband and our 7 month old daughter. We are using the OPOL strategy and have been reading in both languages to her for a couple of months. I’m hoping she will pick up both languages equally, as she is in contact with Japanese from her dad after he finishes work, from her family, and from the wider community every time we go out, but she is also at home with me speaking English to her most of the day. Challenging times ahead! I will be checking in to this site often! Liz, thank you for the kind feedback. I’m really glad to know my site is helpful to you and your family. It sounds like you’re off to a great start. If your daughter goes on to attend Japanese schools, Japanese won’t be an issue at all. The challenge, of course, will be nurturing her English to higher levels of proficiency, particularly her reading and writing ability. For an overview of my own efforts to support the literacy development of my kids, see The Power of Reading in Raising a Bilingual Child. Also, if you haven’t already subscribed to my (free) weekly newsletter, you may find that useful, too. Liz, best wishes to you and your husband! I look forward to hearing good news from you as time goes by! My husband speaks only English so we adopted the OPOL approach by default. I spoke to my children in Romanian from birth, but they still ended up speaking to me in English. They are now 3 and 5. Three is a critical age. Each of them asked me to speak to them in English once they turned three. I declined respectfully. I stuck to my Romanian and I can see my five-year-old is over the hill. He now responds to me in Romanian almost 50% of the time, especially when it’s a shorter answer. Of course, since I started them in French and Spanish last year, we get a whole different monkey on our hands, a multilingual one. Adriana, thanks for sharing your experience. It’s great that you stood firm at that critical point in your son’s bilingual development. In the end, such stands for the minority language can make all the difference between achieving long-term success and abandoning this journey too early due to frustration or disappointment. Good for you, and for your kids. And best of luck with your excellent blog! My son loves Lego, too! I am so glad to find someone else who speaks Romanian. Would you like to share some of your techniques with me? Except of talking to my son in Romanian and reading books, of course, I try to watch movies with him and sing songs, although is still difficult to find something for a 2,5 years old toddler. I am stuck with old movies, such as “Ion Creanga – amintiri din copilarie”, “Veronica”, “Maria Mirabela”. Do you have anything else on your list, more “up to date”? Thank you. P.S. Adam, I hope you don’t mind me asking Adriana a personal question, but I do not have her email. Thank you. a question about the second child. Let’s say that the second child is born and time comes when it will talk. Which language should be better for the conversation between the 1st and 2nd child? Of course, I would like them to use the minor language. Should I insist, at least when I will be around? It is inevitable that they will talk in Greek, not in Romanian, but I was wondering what you did in this case? Thank you very much. Tatiana, thank you for your question—it’s a good one. Language use between siblings is difficult to control, but if the children’s two languages are roughly balanced—which means that the majority language isn’t a strong preference—they will probably switch, quite naturally, to the minority language when the minority language parent interacts with them. In my case, then, I don’t really have to be firm with my kids about speaking English together because they’ll do this naturally in my presence or in the presence of other English speakers. In other cases, though, when children tend to rely more on their majority language, the minority language parent may need to actively encourage the use of that language. The best way, though, to get siblings to use the minority language a fair amount of the time is to work hard to foster strong minority language ability in the first child. If the first child actively uses the minority language, then this older sibling will naturally use it with the younger sibling, thus setting a productive pattern for ongoing interaction in the target language as the children grow. At the same time, if the children attend school in the majority language, they will likely come to use the majority language more for their own communication. This is true of my children as well, and it’s one of the reasons I continue to be so proactive about prompting their use of the minority language whenever I can! I am a mother with a year old daughter. My husband is Australian and now he still lives there and I am an Indonesian, and I am still living here, in my country. My daughter is staying with me here. I want Crystal (my daughter’s name) speaks in both English and Indonesian fluently. I asked everyone in my family who can speaks English to speak in English with Crystal and the rest of the family who can’t speak English, then they can speak Indonesian to her. To be honest, I only learn how to speak in English through movies, songs and books. But so proud to myself (don’t want to be arrogant), when people tell me that I speak a very good English. But, still, English isn’t my first language. I am bit worry that Crystal won’t be able to speak English as good as I wish because mostly people here speak Indonesian to her. Her first word was: “eat” but in Indonesian and second one was: “no” and it’s also in Indonesian. Reading your blog has inspired me. But if you have some suggestions for me, please feel free to let me know. Penny, welcome! I’m glad my site has given you some inspiration for your bilingual journey. It sounds like you’re very committed to your daughter’s language development, and that’s a vital ingredient for success. Your circumstances aren’t quite clear to me (Will your daughter’s father not be present in her life? What language(s) are you speaking to her? ), but I can encourage you, in general, to continue trying hard to ensure that your daughter has a real need to use English and sufficient exposure to it. For much more on these two key factors, please see What to Do When Your Bilingual Child Won’t Speak Your Language. Another article that may be helpful to you is How Many Hours Per Week Is Your Child Exposed to the Minority Language? Penny, best wishes to you and Crystal! We are a fully English speaking family about to embark on a new life in Munich. My partner has been working there and after 18 months it has proved to be a longer term opportunity. My 13 year old daughter and I have visited a few times in that period. She has also been learning German at school for the last 2 years, and in the last couple of months more intensively with a tutor. My partner is learning a lot through living and working there, and I know very little of the language. So you can imagine the challenges we now face. My daughter is embracing the language, but at the same time (being older) she realises what she has to do to settle into it, which is a daunting task. With the least knowledge of the language between all of us, I am really keen to support my daughter and make this the most enjoyable and interesting learning experience I can possibly make it, whilst also learning myself. It has been so refreshing to find a site, that not only gives you something very practical and useful, but also approaches this area with so much positivity. It is more challenging when people or other sites spend so much time focused on the problem, which is not why you reached out to them in the first place. We already know how difficult it is and will be. In our position we want support or guidance, to nurture the enthusiasm that we are feeling at the heart of our decision to pursue this new adventure for our family. You have given that here & I wanted to thank you for it. Will look forward to delving further into your site and putting into practice the ideas you have provided. Alana, this sounds like a terrific opportunity for your family. Yes, it will be challenging, but hugely enriching just the same. I wish you all the very best and I look forward to hearing good news as time passes. Thanks for the tips. I need to follow some of these guides…although it’s difficult being the speaker of the lesser language. But I now realise it will require more effort on my behalf. Jack, I’m glad these tips offered some good food for thought. It’s true, supporting the minority language is a tough role, and takes determination and effort, but you can do it! Keep doing your best, day by day! I will continue to read you and your sharing, I just wonder how did you manage to learn this things? Yannick, welcome! Thank you for your kind words, and I hope you continue to find my site helpful for your efforts at home. Definitely build up a home library of children’s books in French and read to your kids every day. It’s a vital part of promoting the development of the minority language. My knowledge of this field comes from three areas: I’m a longtime teacher of bilingual children, at an international school and through private tutoring; I have two bilingual children of my own; and I’m a compulsive reader on the subject. I have a great passion for it! 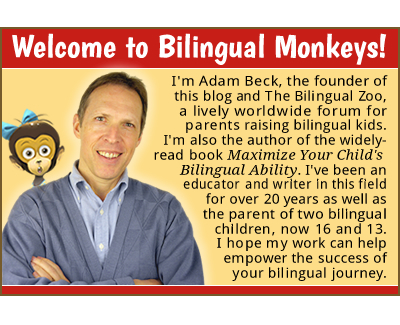 I look forward to “seeing” you at Bilingual Monkeys! Best wishes to you and your family! My wife and are planning on having a child soon and we want our child to be bilingual. She is from Colombia and I’m from the USA. We also live in the US. I’m not fluent in Spanish yet I’m learning but my wife speaks excellent English. So should I focus on English and her in Spanish if our child attends an English speaking school or should I speak Spanish to our child as well I wonder. Jason, thanks for your question. To a large extent, I think the answer depends on how proficient and comfortable you would be using Spanish by the time the child is born. If both you and your wife speak Spanish, this would naturally boost the child’s exposure to the minority language and help fuel a good head start in Spanish before the heavy influence of English schooling and the wider environment take hold. 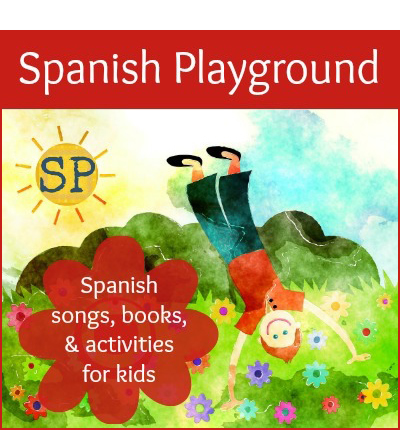 A possible compromise might be to emphasize Spanish in your communication early on, until the child develops a firm foundation in Spanish, and then use more English once schooling starts. Meanwhile, your wife should be very consistent, and persistent, about using only Spanish. Thank you, this is a very interesting article. I don’t have kids yet, but I’m planning, and I wanted to raise them bilingual (Russian and English). I’m Russian, and I’m quite fluent in English, but still it’s no mother tongue for me. I was wondering whether I will miss out on something if I talk to my kids in English and not in Russian. I mean I can’t always express myself as good in English. Is it possible to raise a bilingual child if you are not a native speaker? Maria, many people successfully raise bilingual children in a non-native language, so it’s certainly possible for you, too. I am so glad to have found your blog—you have already answered a lot of the questions I had as well as suggesting things I hadn’t thought of so thank you very much! I am a native English speaker and my husband is Italian and we live in the UK. We have a six week old baby boy who we aim to bring up bilingual. We are (kind of) a OPOL household but I am a bit concerned about how much Italian he will soak up as my husband works long hours and so there are days when he won’t have any contact with the child at all. I do feel its important for me to communicate mostly in English with him however I do mix both languages (especially when my husband is not at home) even though my Italian isn’t fluent so he has some Italian spoken to him every day. With me speaking both languages to the child will he still be able to differentiate between them or will this cause confusion? Would you suggest we speak only Italian at home? I would love to hear your thoughts of our situation—any advice would be appreciated. Tamsin, welcome! I’m glad you’re finding this site helpful to you. I agree that it’s important to take steps to provide your son with more exposure in Italian. If you feel comfortable using Italian with him, then probably the most effective way of handling the two languages would be to separate them by place: at home, use Italian; outside the home, use English. By being as consistent as you can about this, it will be easier for your son to differentiate when to use each language with you. I think you’d have less success, in this regard, if you speak both languages without distinct “domains” of use. Pursuing the strategy of using only Italian at home (the “minority-language-at-home” approach), you and your husband would surely raise the odds that your son will develop a solid foundation in Italian before the heavy influence of English schooling is felt. Since your husband is unable to provide the necessary exposure (though definitely incorporate the idea of “cloning” him as I describe in The Busy Parent’s Guide to Cloning Yourself), you’ll need to be proactive in supporting the minority language, if fostering active ability in Italian is an important goal. Thank you for your advice. I will keep looking to your blog for tips and support – sounds like I’m going to need it. I am a mum to a 6 yrs old. I am raising my child Chinese and English bilingual in England. I also run Mandarin classes to teach local kids Chinese. Your tips are great. Thank you and keep going! Jing, welcome! I’m glad you found these tips useful and I thank you for sharing them with other parents. Best wishes for your success, from Japan to England! Mum (non British, minority language). Thinking of using OPOL method. I spend most of the time with our baby, talk minority language at home obviously. Feel a bit awkwardly trying to speak minority language outside the house, e.g. walking with British friend or being at mums & bums meetings (usually 4, 5 mums and babies). Is there a way of overcoming this situation? Maybe if they knew what I’m trying to achieve? Any tips? What Language Should I Speak in Public with My Bilingual Child? If you read both the article, and the many comments below it, I think this will provide some good food for thought for your own situation. Basically, I would advise being cautious about how freely you use the majority language around your child during the first few formative years, when you’re seeking to establish a firm foundation in the minority language and “condition” the child to communicate with you in this language. I realize it’s a tricky issue, but liberal use of the majority language by the minority language parent can undermine the need the child feels to use that language. After all, from the child’s point of view, there isn’t a real need to use the second language if it’s clear that the parent also has fluency in the first language and is often willing to use it. Hi. I am Persian and we live in Iran. My husband is Persian too. My daughter is 14 months old. Until now we spoke just in Persian. Can I start second language? Can I speak in 2 language with her? Please advise me. Atieh, I don’t know your situation in detail, so my response can’t really be specific to your circumstances. However, it’s certainly possible for you to begin nurturing your daughter’s development in a second language. I would only advise that you establish a distinct “domain” for using this new language. For example, while most of the time you will continue communicating to her in Persian (I imagine), you could implement one hour each morning to interact in the new language: reading books, singing songs, playing games, etc. And to mark the start and end of this period, so your daughter can come to quickly distinguish the two languages, you could use a “cue,” like playing/singing the same song in the second language each time. I’m so glad I have found this website, it is so helpful and the tips you provided here are just great! I was wondering if you could try and help me to make a wise choice for our multilingual family. We are trying to raise a multilingual child (our son is 13 month old now). I am Russian, my husband is Italian and we live in London and speak to each other in English. At the moment 90% of all time my son is exposed to Russian language and currently it is the only language he understands, 5% to English and 5% to Italian. Unfortunately I don’t think that we can intensify the exposure to Italian in the next couple of years due to my husband’s new business and him being extremely busy at work. Having studied loads of books and online resources on how to raise a bilingual child I am very consistent and persistent about speaking exclusively Russian with my child. I’m now back to work from maternity (in the office 4 days a week) and we have a Russian speaking nanny twice a week. Unfortunately we were unable to find an Italian speaking nanny that would suit us and the options we are currently considering are: 1) either send him to an English child-minder twice a week or 2) send him to Chinese-speaking childminder (nursery). I am not worried for him to learn English as am almost sure he will pick up the language when will go to nursery/pre-school at 3 y.o. My question is 1) do you think it is worth sending him to Chinese-speaking childcare twice a week, will 20 hours exposure per week be sufficient for him to learn the language considering none in our family speak Chinese (but I know it would be so beneficial for him in future to understand this language). Or should we just send him to English childminder and introduce Italian language later on (perhaps when he is 3-4 y.o)? Thank you very much in advance for your answer. Lana, welcome to Bilingual Monkeys! I think you’d find my forum, The Bilingual Zoo, helpful, too. It’s a warm, supportive community and membership is free. In fact, there are a number of members with Russian as a minority language. First, let me applaud you for being very conscious and proactive about your son’s exposure to Russian. It sounds like you’re off to a promising start with your early efforts. I agree, acquiring English won’t be a problem for him as time goes by and he enters a majority language school. The larger challenge to your journey, really, is maintaining sufficient exposure to Russian as he gets older, and, more importantly at the moment, somehow increasing his exposure to Italian. To be honest, I don’t think either option you describe—English-speaking or Chinese-speaking childcare—would be the best option for your situation. Because English will eventually grow dominant, it’s actually to your advantage that this language has somewhat limited exposure in the first few years so that your minority languages can gain a head start. Adding English exposure now would undercut this advantage. As for Chinese, the development made by your son in this language would need to be maintained somehow, beyond the early childcare setting, in order for it to progress further—otherwise, his ability will be largely lost. Unless you’re willing and able to make a longer-term commitment to Chinese, I’m not sure how much benefit would be gained from this option. The language that really needs more attention is Italian—your husband’s mother tongue—and though you haven’t yet found a suitable Italian speaker to look after your son, I would make every effort to locate someone before moving forward with one of the other two options. Ideally, in this way, you will increase your son’s exposure to Italian so he then receives a good amount of input in both of his parents’ native languages. At the same time, despite your husband’s demanding schedule, I would encourage him to add to the language exposure your son receives by reading to him in Italian, whenever possible (see The Secret to Raising a Bilingual Child) and creating videos of himself that can be played for your son during his absence (see The Busy Parent’s Guide to Cloning Yourself). Of course, your son could acquire Italian at a later age, but I think you would raise the odds of success significantly by investing more time and resources in nurturing his Italian now, through these early formative years. Lana, I wish you and your family all the best! Let us know what happens! Hi Adam, thank you so much for your advice. Without it I would have most likely chosen the wrong approach and sent Leo (my son) to English daycare which would have reduced his chances of successful acquisition of Russian and almost excluded possibility to learn Italian (at least at this early age). I had a serious conversation with my husband and we agreed to work out a plan (schedule) for him in order to spend minimum 20 hours per week (including ‘cloning technique’) with his son speaking exclusively Italian. And this task will be put ahead of his job and will always be a priority for our family (I’ll make sure it will!). We have also renewed our search for Italian nanny/childcare and ready to travel further from home in order to expose Leo to Italian speakers. Honestly – thank you SO much!! Your advice gave me so much inspiration and desire to do my best and help my husband to teach our son his mother tongue. I’m cheering for your family, Lana! I look forward to hearing good news from you in the future! Cute video! Your daughter is doing very well! Of course, as non-native parents of the target language, your challenge will be sustaining her exposure to this language over time. If you can continue to arrange settings and situations where she’s able to regularly interact with Chinese speakers, then her language ability will grow to higher levels…otherwise, it will atrophy. Since she’s clearly off to a strong start, and proficiency in Chinese could be a very useful skill for the future, I would encourage you to make proactive efforts to continue nurturing her oral ability. (Reading and writing in Chinese will be an even larger challenge, but could be pursued when she’s a bit older, with the support of a tutor.) Best of luck! Thanks for these tips, Adam. It has always been my dream to raise bilingual kids. What I wonder is if it’s possible with this life setup: I’m American, fairly fluent in French (did a MA in the language and briefly lived in France), now living in Ireland with my Irish husband. He doesn’t speak any French. Is it feasible to raise my children to be bilingual in French and English from infancy? Given I’m not a native French speaker, I do fear this isn’t terribly realistic. I would appreciate your thoughts. I love your tips! Thank you for sharing them! Thanks for sharing this great work. This is the best list of tips on how to raise a bilingual child I found so far. I’ve subscribed to the newsletter. Thank you, Sandro. I look forward to keeping in touch through my newsletter. 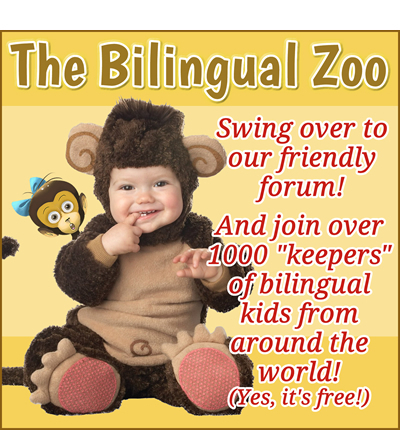 You might also be interested in joining me at The Bilingual Zoo, my forum for “keepers” of bilingual kids. It’s a warm, lively community and membership is free. Just follow that link and click on “Register” at the upper right of the homepage. I have a daughter and we live in Canada. I am Finnish descent and my husband is Estonian descent. Our daughter speaks English, Finnish and Estonian. I have used common sense to teach her my mother tongue and seeing this site basically doing what you suggest. CDs in the car with Finnish languages and she listens for a while (she is now 16) and then asks if she can listen to her music and I tell her fine, however she listened 10-15 minutes in Finnish. Very proud now that I was able to teach these languages for my daughter. Mind you I’m also lucky to live in a city that has Finnish and Estonian school, the school is once a week in the evening. It helps. Lea, I’m glad to hear you’ve had good success in handing down your heritage languages to your daughter. It sounds like you’ve made a lot of proactive efforts over the years, and the fact that you’ve had access to some schooling in the minority languages has been a helpful source of support. Thanks for the tips, Adam. Have you considered using mobile games for learning languages? This one is about musical instruments, but it might as well help a kid learn some new words in Spanish. Susan, thanks, this is a great suggestion…and reveals my lack of experience with apps! The truth is, we don’t have a mobile device yet so this option hasn’t been part of my thinking. However, we plan to finally get a device this year so I’ll be back to update these tips once I’ve had a little experience with it! Possibly you’ve read through books, which others have not read and possibly few other individuals have actually heard of, what’s important, is that you have entered them and come from that experience enriched for it. Growing as you become emboldened by the experience of sharing in a different mindset for a while, that’s the authentic strength of a great book! Trisha, thank you for your comment. I’m really glad to hear that your family has been able to hand down their mother tongue to you. This can be a big challenge in situations like yours, but fortunately you were able to spend a lot of time with your grandparents when you were younger. They may not have had a conscious “method” in mind, but the fact that they used Vietnamese with you, and weren’t fluent in English, provided the important two “core conditions” for you to acquire Vietnamese: you received sufficient exposure to the language and you felt a natural need to use it. With this foundation, your additional schooling in Vietnamese could then advance your ability to even higher levels. So, it’s true, a conscious and proactive approach isn’t always necessary to successfully nurture a child’s minority language, but for many families, this won’t happen unless they make deliberate efforts to meet those crucial two conditions for language acquisition: exposure and need. Trisha, keep going with your Vietnamese! I predict your bilingual ability will be a valuable part of your life in the future, too! My boyfriend and I are French (but I’m bilingual, I learned it a while ago). 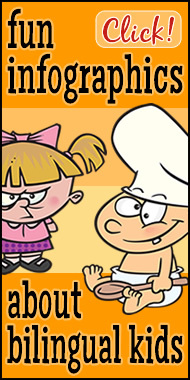 My first instinct is watching TV in French, which I try to work on… I try to put English cartoons for my 6 months baby. 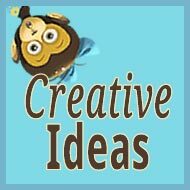 Do you think by just watching TV and listening to English songs/radio it would still help to develop the “English side” of my son? Annie, activities like these can certainly be helpful, to supplement your overall efforts, but a diet of only passive activities will likely lead only to passive ability in the target language, at best. If your aim is active ability, then the main sources of language exposure must be interactive. 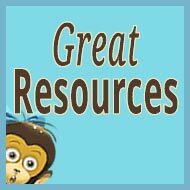 I would encourage you to take a close look at the posts I’ve listed on the resource page for new parents. All the best to you and your family! Fantastic words of wisdom! I have a soon to be 12-year-old daughter who learnt to speak in Norwegian within a couple of months of starting nursery at 4 years old (we didn’t know this as she would only speak in English when we picked her up!). We’ve lived in Norway (hubby is Norwegian) for several years now and while I’m more than capable of speaking it I prefer to stay with my native tongue (always felt silly talking in Norwegian with hubby as met him speaking English). I speak English to his son who learnt English quickly as I didn’t know Norwegian when we moved here. (English is the language the kids learn at school from the first year.) However, I speak Norwegian to his daughter as I had learned enough by the time she started spending significant time at our house. We now have a daughter together who is 15 months old and I only speak English with her as we want her to be able to speak both languages from the get go. She gets exposure to Norwegian from hubby and his kids when they’re here and English from both me and my daughter (eldest daughter speaks to me in English and the rest of the family here in Norwegian). My baby girl spends most of her time with me at the moment but will be starting nursery at the end of this year so I’m wondering if she will have had enough exposure to English by then? My first had 4 years! I’ll be rereading your tips and see if there’s anything else I can do to bump up her learning that I don’t already do. Amanda, it sounds like you’re off to a strong start with your younger daughter, and with the support system you have in place, I expect her English ability will develop well alongside her Norwegian. Just make sure that you and your older daughter remain consistent about using English with her and that you continue providing her with as much exposure to English as possible. I would also encourage you to join us at The Bilingual Zoo, a warm, lively community for “keepers” of bilingual kids where you’ll find many other parents from around the world who are facing similar challenges. You have the most useful tips I have seen so far on raising children bilingual. I would like some tips on how to continue raising my 16 month old trilingual. I am a Canadian-born Chinese having been raised to speak Mandarin only to have lost it growing up. I speak probably at a 3rd grade level and my Chinese is probably broken at best with a strong English accent. Now that I’m a mom I want my son to speak Chinese at least at my level or better. My husband is French and we live in NYC and have a 16 month old son. I have spoken Mandarin exclusively to my son until 12 months old. I have a Mandarin speaking nanny for at least 3 full days a week, and my son goes once a week to French daycare all day. I spend about 2-3 days during the work week with my son with nanny overlapping at times so his dominant language is Mandarin. My husband only has an hour every night with him during the week and several hours with him on Saturday and Sunday speaking French exclusively. My son knows Mandarin best and can say ‘mama’, ‘baba’ the Chinese way for mom and dad, and ‘gogo’ the word for dog and ‘Dan Dan’ the word for egg in Chinese and that’s about it so far in terms of speaking. So here is my question… I am at a loss for words as my son gets older, I don’t know how else to speak to my son in Chinese, there are concepts that I just can’t relay in Chinese. I am reassured the nanny can speak to him (however she is not the best at teaching) and I find play dates as well. But I am anxious that I can no longer speak and grow with my son in Chinese. I have been integrating English, but not in any methodical way. I will sing and read in English, however there are times when in one sentence I will use English and Chinese words. What do you think my method should be in using Chinese and English being that my Chinese is so limited? I would love advice on how I should approach this. I know the main answer would be to learn more Chinese. I sing in both Chinese and English and read books in both languages. Everyday activities I try to speak in Chinese but I am finding that I need to use English because I don’t know the vocabulary in Chinese. When I go outside to describe the different cars I really cannot tell him the difference between a tractor and a bulldozer and many other things even more simple than that. Such as a block next to another block or under or within. Are there any other tips or methods you can provide on how I can structure Chinese and English when addressing my son would be very helpful. Thank you! In other words, I understand your concern about the “limitations” in your language ability, but the only way to really overcome this is by being very persistent in seeking to improve your Mandarin and use it as exclusively as you can. There’s no reason why your ability in Mandarin can’t continue to grow right alongside his…but using English regularly won’t serve either your need nor his. If he gets accustomed to the fact that you’re willing to communicate in English with him, too, then, as his English grows dominant, chances are he won’t continue speaking in Mandarin to you. Remember, along with sufficient exposure, a genuine need to use the language is the other “core condition” for active ability. I also suggest that you pick up Christine Jernigan’s book Family Language Learning: Learn Another Language, Raise Bilingual Children, which is geared toward “non-native” parents. It offers plenty of good ideas for the “dual learning” of parent and child. Finally, the other challenge for your trilingual goal is supporting your son’s French side. English, of course, won’t ultimately be an issue, but unless there is more emphasis on French than at present, his ability in English and Mandarin will likely become much stronger than his ability in French. This shouldn’t be an immediate concern, because it sounds like you’re doing your reasonable best with French, too, but it’s something to be mindful of as you move into the future. I send best wishes from Hiroshima to New York! I am so excited about this! I want to homeschool my children. They are 2, 1 and 5 months. I want to start at ground level and teach them all the languages I can. I am a native English speaker with a minor in Spanish, who followed college with 5 years in China learning Mandarin, and then picked up Persian. I guess I am a language nerd at heart. Now that I am a full time mom I find it hard to find time for my passions. Now this is a passion I can share with my little ones if I can start implementing all of this great advice! I also want them to get loads of exposure to Portuguese by reading with my in-laws. As you say, they may be a huge untapped resource. I want to get started right now!! Unfortunately it is the middle of the night!! I hope I can sleep…I’m so excited! Mindy, I loudly applaud your enthusiasm and wish you all the best on your bilingual (multilingual?) journey with your kids. This is great! Thank you for all the tips! I have a 17-month-old girl. I am English and my husband is Venezuelan and we speak Spanish at home and live in England. We have both been talking to her in Spanish, my husband looks after her 3 days a week and she goes to nursery two days. I’m concerned that maybe I should be talking to her in English as it is my mother tongue yet we know that as long we live in England that this will be her main language anyway and we know other Spanish speaking families whose children born in UK always default to English even at home despite BOTH parents being Spanish speakers. I’m not sure what to do as I do sometimes talk to her in English when we are out yet my question is whether I should all the time and leave the Spanish to dad. Nina, it’s not clear to me why you feel it might be better to speak to your daughter in English. As you yourself said, she will acquire English from school and society, and other families you know have had difficulty even when both parents are using Spanish with their children. You may have other considerations that I’m not aware of, but in terms of her bilingual development, the more you expose her to Spanish, the more success you’ll surely experience. So, at least in this respect, reducing her exposure to Spanish, and increasing her exposure to English, is a recipe for lowering the odds of success. If you pursue this course of action, her English will likely grow dominant at the expense of her Spanish. In this case, her ability in Spanish will probably be more passive (and particularly if you and your husband tend to communicate in English). For the highest odds of success, you and your husband should speak to your daughter in Spanish (and speak Spanish to one another) both inside and outside the home. If that’s unrealistic, then I would encourage you to make your home a Spanish environment only, while English can be used outside the home. This approach would probably still foster active ability in Spanish, since she will receive ample exposure for acquisition and assimilate the “rule” that Spanish is spoken at home. Nina, I hope these impressions are helpful. For more food for thought, with regard to raising the odds of success, please see Raising Bilingual Children: 17 Actions That Will Strengthen the Odds of Success. Let me tell my case and then I have a question for you. My wife and I are both Portuguese native speakers and we live in a Portuguese language country. I speak English also, although not fluent. Since you are a teacher, just to be more specific my TOEFL level is 92 and IELTS 7.0. When my son was born I decided to make him bilingual, so since day one I have spoken to him only in English. He is now 13 months. To help me, I have used lots of nursery rhymes, either by singing myself or playing on computer. Besides that I read a lot of English board books and now I’m starting with some cartoons in English (Peppa Pig). He already responds to some commands like “clap your hands” and “touch this” and especially “don’t do this”. Even though I have done all this, I am the only source of English he has and all rest of the environment is in Portuguese, from mother, family members and the nursery he attends. My question is, since I am alone in this task and my English is limited, is it possible for him to learn beyond what I know by just watching TV, listening to songs and books that I read for him? I don’t want to be his limit. Are there any chances this is going to work? Mateus, first of all, I applaud all your good efforts. It sounds like you’re doing the best you can under difficult circumstances. I don’t know how much exposure to English your son is actually receiving, and I don’t know how much you use Portuguese in his presence, but keep in mind that the two “core conditions” for fostering active ability in a second language are exposure and need: the child must receive a sufficient amount of meaningful exposure to the target language on a regular basis, and must feel an organic need to communicate in that language. If either of those two conditions are lacking, chances are your son’s ability in English will turn more passive: in other words, he may understand a lot, but won’t use the language actively. His Portuguese will naturally become dominant and that is the language he will rely on to communicate. There’s nothing “wrong” with this initial outcome; it doesn’t mean you’ve failed. After all, if you continue your best efforts, his passive ability will go on growing and, at some point, when the time is right, that ability can be more easily activated. Again, I don’t know your circumstances in detail, but it sounds like this is probably a more realistic goal than expecting that he will speak English with you and Portuguese with everyone else. It’s possible, but I think it would require strengthening the two “core conditions” of exposure and need beyond the current circumstances, which seem to be balanced heavily toward Portuguese. And, although “passive activities” like TV watching can be helpful supplementary input, language exposure is generally most effective when it’s interactive. Mateus, I encourage you to continue digging for useful ideas and inspiration at this site, and at The Bilingual Zoo. Your journey will be challenging, but if you stick with it, and hold realistic expectations, your daily efforts will surely pay off over time and enable you to ultimately realize your original hopes. I am not sure what the results will be, but I was anxious about doing nothing and lose the opportunity window. I didn’t mention but I only speak English with him since he was born. It was tough in the beginning, but now I do it automatically. In fact, it is so natural to me now that I feel awkward if I speak in Portuguese with him. But he sees me and mommy speaking in Portuguese all the time. In these early years if I can make him understand English, I think it is a great goal. Because, as you said, he won’t have an organic need to talk with me in English since he will, or already, know I understand and speak Portuguese. But I hope by understanding English helps him to start to speak when the need arrives. Keep going, Mateus! Persistence is the key to achieving your dream! Thanks a lot for these useful tips, I really enjoyed it a lot. Here is the thing: we speak Arabic as a mother tongue and English as a second language and I’ve always wanted my little July to speak English as a target language so I thought, as an English teacher, that the best way is to include English words within Arabic sentences would be great! My daughter now is 2 and she says variable words from both languages but I am really not satisfied. Is it too late to get the target? And what is the best thing to do? Thanks! Ayman, I’m glad you found this post helpful. To foster active ability in any language, the two “core conditions” are exposure and need: the child must receive sufficient exposure to the target language and feel a genuine need to use it. By mixing English into your Arabic sentences, you’re not adequately fulfilling either of these conditions. Of course, it’s never too late, but I do think you should reconsider your approach. 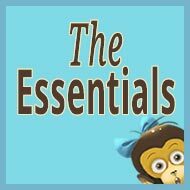 To support this process, I encourage you to read through the posts at this resource page: The Essentials. I wish you all the best, Ayman, and I hope my blog and my forum can continue to be helpful to your efforts. Of course it is! God bless you. I recently moved to Japan where my daughter was born. My husband and I are both native English speakers. How do we cope with ensuring our child becomes bilingual while we struggle with learning Japanese? Will Japanese become her majority language and English her minority language? Sheresha, it’s hard to answer these questions concretely without knowing the details of your situation (how old your daughter is, how you plan to handle her schooling, etc.). I can tell you, though, that if you continue to speak English as a family, while your daughter acquires Japanese from school and the community, then she will likely become bilingual without too much difficulty. In this case, the terms “majority language” and “minority language” probably aren’t applicable in the ways I usually describe at this site (because your circumstances are different from most families), but, generally speaking, yes, the “majority language” of your context is Japanese and the “minority language” is English. My husband insists on speaking only Arabic to our son, who’s four, during the dinner hour as he believes this exposure is more effective in developing our child’s language skills. I am English monolingual. I feel left out, like an observer. Is there any evidence or research on how this is more effective and less effective than say another practice? We have DVDs and children’s books in Arabic. Also we take turns reading to him at bedtime. I’m interested in effective options other than dinner time. In any event, I encourage you and your husband to discuss the situation and devise a plan and routine that will be both effective in satisfying the necessary conditions for nurturing language development and also comfortable for your family’s lifestyle. This can be tricky, and compromise is often key, but meeting both of these objectives is vital for a happy and successful bilingual journey. Best wishes to you all! Wow, such a great article. Thanks so much for your site. I just searched internet about bilingual children and suddenly found your site. Lots of helpful information. I have a daughter and she is 20 months. We live in Toronto where the majority language is English, but my husband and I speak our native language at home. From her birth my biggest concern is that she can speak our native language or not. It is so hard, it takes time and needs lots of effort. I will try, try, and try until I get it. Because your daughter is still small, if you haven’t already come across my resource page for new parents, that might be special interest to you. Best bilingual wishes to you and your family, Samaneh! Your proactive efforts will pay off over time! Hi. My daughter is 3 years old and we live in Australia. My husband speaks English and I speak Spanish as a first language. Unfortunately I didn’t talk Spanish to my daughter almost anything the first two years because I was learning English myself, and I was so concerned to do it quick. Now I’m talking a lot of Spanish with her and she can remember some words in Spanish. We have some little games and she can understand little sentences but she answers in English. We will go to my country in 2 months, and she will get 100% exposure to Spanish. I’m a little nervous about how insulated she can feel there so I’m talking a lot of Spanish last days. I was reading the another answers and looks like it will be good idea some music and cartoons in Spanish as well…any other tip will be appreciated. Thanks a lot for this site. Oriana, I understand your concern about the trip to your home country, but these kinds of experiences, where your daughter receives a lot of daily exposure to Spanish and feels a real need to use it, are essential for strengthening her progress. I would encourage you to travel back to your country as often as you realistically can. At the same time, it’s vital that you speak to her in Spanish as consistently as possible, even if she responds to you in English. I know that improving your English is important to you, too, but the more you can consciously limit the amount of English you use in her presence, the more likely she will eventually speak more Spanish with you. Unfortunately, because you spoke English with her for the first two years, she doesn’t really feel a need to use Spanish with you, and “need” is one of the two core conditions for fostering active language ability. Meanwhile, I urge you to build up your resources in Spanish (books, music, DVDs, apps, etc.) and make reading aloud each day, for at least 15 minutes, a strong and steady routine. Resources in the minority language are crucial for success, and in your case, since you now have a sizable challenge to overcome, they’re especially important. See Do You Really Have Enough Resources in the Minority Language? (Hint: The Answer is Always “No.”). Stay patient and persistent, Oriana! You can do it! My partner and I are Latvian living in England. Most likely we will adapt the “minority language at home” approach, yet I’m feeling rather concerned. Apart from the fact that the minority language is highly unpopular in general and would be spoken only by us and baby’s extended family (none of them living with us or in England), I also assume it would be challenging to introduce the child to English. How to keep interest in the minority language when there will be so much English around, how to prepare him for school (local, most likely) without giving up on the minority language…? Hints, tips and similar stories would be appreciated. Because the larger challenge is fostering, and sustaining, active ability in Latvian (assuming you remain in England), I would suggest focusing almost exclusively on Latvian for at least the first two or three years so you can “condition” him to communicate with you and your husband in the minority language. Then, after this Latvian foundation is firm, you could consider gradually increasing his exposure to English, though it might be best if that exposure first came from people and sources outside yourselves. In other words, the longer you can keep Latvian as your only shared language, the more likely you’ll establish this as your family’s primary means of communication, even as he gets older and the nature of your family evolves, becoming more bilingual. I also encourage you to join me and hundreds of other parents at The Bilingual Zoo, a friendly forum for “keepers” of bilingual kids. You’ll find warm support there anytime! Krista, all the best to you and your family! I look forward to hearing good news as time goes by! Hey Adam. What a great site you have here!!! Congratulations on nearing the completion of your book. If this single mom had the money, I’d totally support. I am raising a bilingual little girl (English, Russian). I’d love to hear your tips on single parenting and bilingual kids. Thanks again. I have a few drafts on my site relating to bilingual kids. Sign up to my newsletter if you’d like a first look. Though I’ll surely be linking to this blog for it’s great info so you’ll get that ping. Have a great day and thank you, thank you, thank you. Valentina, thank you for your kind comment! I enjoyed my visit to your blog—you have a lively voice and I encourage you to keep writing! Single parents face special challenges, but they can earn the same success as other families by following the same principles: The more the minority language is emphasized, and the majority language “de-emphasized,” the more likely the child will develop active bilingual ability. Ideally, the parent uses only (or mostly) the minority language with, and around, the child, which would make this strategy, in effect, the “minority language at home” approach. Of course, some single parents may not be proficient speakers of the minority language. In this case, and if the other parent with ability in that language sees the child infrequently, outside support, from extended family members or others, will be needed to strengthen the single parent’s efforts at home. At the same time, keep in mind that some knowledge of the second language is far better than none at all, and any progress made can later be built upon for greater success in the future. Very interesting guidelines! My question is this — I speak a second language, but not natively and certainly not perfectly. I learned while living abroad and still use it most days at work. I’d love to teach it to my baby, but is it not advised in this case, as baby will not learn it as perfectly as if I were a native speaker? Thanks. Sarah, there are many, many parents around the world raising bilingual children, quite successfully, in a non-native language. You needn’t be a native speaker—or even completely fluent—to undertake this journey and strengthen your own ability in the language as you proceed. You just need to jump in with a positive spirit and daily persistence—getting support from others along the way, as necessary—to succeed, too. You’ll find a good number of non-native parents by browsing the threads at my forum (you’re welcome to join us!) and there’s even a fine book geared for non-native parents who wish to raise bilingual kids. So, if this is a journey you’d like to make, get going! You can do it! And remember, your child wants to be bilingual, too. Thanks Adam for sharing this. This is the best article on the topic available on the Web. I downloaded, printed and underlined your pdf and I’m raising my 2 kids following your advice. You can imagine how much time, energy and dedication I put on it and how much I appreciated your work. Sandro, I’m really glad my work is helpful to you and your family. Thanks so much for letting me know—it means a lot to me. I wish you the very best on your bilingual journey! Keep at it, day by day! Our first child was born two months ago, and obviously at this stage he is only capable of uttering meaningless sounds and noises. So far my wife’s been speaking to him completely in French, and me sometimes Chinese, sometimes English. Now I’m a bit worried that he’ll get confused and won’t be able to handle all three languages. Is this generally a cause for concern or not? In terms of his education we’re probably going to be enrolling him in a bilingual kindergarten (French and English) when he’s old enough, but it seems difficult to try to get him to speak Chinese as well. Most of my Chinese friends have tried to speak with their kids in Chinese at home but the vast majority of them end up giving up and speaking French as their children simply don’t understand what they’re saying/respond in French anyway. Have you got any tips on how to keep a language which a child has no real need for, whether in the community or at home, ‘active’? Thanks, and sorry for the lengthy post! About your trilingual journey, it’s not clear to me where you live—and that’s perhaps the largest piece of this puzzle—but based on your description, I’ll assume you’re in France or another French-speaking region. If that’s the case, then I would advise you to focus exclusively on Chinese for the time being. The concern here isn’t “confusion”: children are able to distinguish different languages over time. The real concern is that using both Chinese and English with your son will undercut the amount of exposure to Chinese, and he’ll need all the input in this language that he can get in order to use it actively once he begins to speak. This issue is even more pronounced if your wife is the main caregiver, which means that the time you’re able to spend with your son is comparatively limited. Because your wife uses French, and you live in a French-speaking location, you’ll need to raise the odds of success by being very proactive in providing Chinese exposure, day after day. In my view, it would be more effective to add English later on in the process, from school and other sources; your highest priority, especially during these first few formative years, should be nurturing a solid foundation in Chinese. The “danger” in giving energy to English, too early, could be the undermining of his Chinese development, resulting in the scenario you wish to avoid, where French quickly becomes dominant. In order to give Chinese a fair chance of active success, put as much time and energy into this aim as you can (a good target would be 25 hours a week of exposure in the target language). And if your wife can contribute to the Chinese input (even if just by helping you clone yourself), then all the better. Believe me (because I’ve been doing it daily for well over 10 years), it isn’t easy fostering active ability in a second language by yourself, so if your wife’s capacity is limited, I would encourage you to seek out additional support for Chinese exposure (like a regular Chinese-speaking caregiver). All the trilingual best to you and your family, Peter! Hi Adam, thanks a lot for your reply. Sorry for not making it clear in my post, but yes we do live in France. As I work full-time with quite long hours and my wife’s now a stay-at-home mum, getting a Chinese-speaking nanny or even housekeeper to come in sounds like a great idea (how did I not think of that earlier! ), especially as my wife only speaks very, very limited Chinese (I tried to teach her when we got married, but with no success whatsoever…). However my wife will probably go back into work in about a year’s time, and we’ll likely be putting our baby in a creche (we’re already on the waiting list…) during daytime where the staff will essentially only speak French to him and so he won’t have any significant exposure to English until he’s about 2 to 3 when he goes to kindergarten/preschool. Would he still be able to pick it up then? Again, thanks for your time! Peter, I think the bigger challenge is Chinese, not English. If you work long hours, it would be far better to have a Chinese-speaking nanny take care of your son than placing him in French-speaking daycare. If he goes to that sort of daycare environment, from early on, the great imbalance of exposure between French and Chinese will significantly lower the odds of success. If fostering active ability in Chinese is truly important to you, then I would think very seriously about bringing in a regular Chinese-speaking caregiver. Again, English can be acquired at a later stage from intensive exposure at school. This needn’t be a distraction from the larger and more pressing concern of adequately nurturing a firm foundation in Chinese over these first few formative years. Thanks! I’ve actually just been discussing this with my wife and she thinks that it’d be a great idea to get a bilingual Chinese/French-speaking nanny to come in regularly and who can ‘take over’ from my wife once she goes back to work. We’ve already started looking online and it actually costs a lot less than we thought it would (which was one of the reasons why we preferred a state-run daycare centre). I’ll be sure to recommend your site to my friends! That sounds very promising, Peter, though I would advise that the nanny not speak French in your son’s presence so he will assume that this person can only speak Chinese. If your son becomes aware of her/his French ability, this could undermine his need to use Chinese, which would clearly be counterproductive to the central purpose of this arrangement. Thanks for sharing my blog and forum with others! I currently live in an English country with my husband and my daughter who is now 6 months old. Me and my husband are fluent in English and German since we worked in Germany for a while. Since my daughter was born we have only spoken English with her but we now feel the need to teach her German and we wanted to use the minority language at home method but the “problem” is that we work from home and most of our job consists of meeting clients and talking on the phone. I also speak a lot wih my husband during work hours, in…yes English! And we work around 6 hours per day, out of those 6 hours our daughter is close to us (listening distance). So the ml@home method doesn’t seem like a good option…as for OPOL..well, same problem: our daughter will hear us speak English together and on the phone almost 4 hours a day and if she sees that my husband can speak English it kind of messes up the whole OPOL concept, right?! So the question is, would it be a good option if me and my husband would only talk German to our daughter (as well as listening TV and radio, singing, etc.) and keep speaking English together and with clients (in person or via phone calls) during work hours? Jessica, yes, these circumstances are tricky. Ultimately, each family must devise what they feel is the most effective and sustainable approach for their particular situation, and this needn’t be the “pure form” of well-known strategies like “one person, one language” (OPOL) or “minority language at home (ml@home). It could, and should, be an approach tailored best to the circumstances at hand. 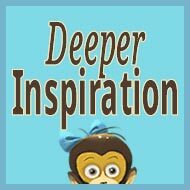 For more perspectives on your situation, and ongoing support and camaraderie, feel free to join me and many other parents at The Bilingual Zoo, my friendly forum for “keepers” of bilingual kids. I have a similar issue, me and my wife only spoke English to our son who is 1 year old now but we move to Spain soon. We are wondering if we switch to 100% Spanish if he will be confused or if it can be bad for him to simply forget about English and switch to Spanish (we have b1-b2 ish level but we will take intensive course). We might take a nanny who speaks English on the weekends but our main priority is Spanish. I would really like to have your opinion on that Adam! Thanks a lot have a nice day! 1. Are you and your wife native speakers of English or Spanish? 2. Where are you living now? Why are you moving to Spain? How long do you expect to live there? 3. What are your language goals for your son? Let me know more and I’ll offer my thoughts! Sorry if I wasn’t clear, me and my wife are native French speakers but for some reason French is not so important for us anymore. We have a good level of English and French is not likely to be used in future. We speak English “almost like natives” to him since he is born. We live in British Colombia, Canada, we move to Spain for work and we will probably be there for 5 years maybe forever…if we like to live there we might stay there. Our goal would be to prepare him to live in a Spanish speaking environment. My fear is to speak to him in Spanish since we did never speak Spanish to him. He is 1 year old. I fear that switching language from English to Spanish may confuse him a lot…even if he is only 1 year old. Like I said we will expose him to English few days a week at kindergarten but we would really like to put emphasis on Spanish for now. In fact my question is: Do switching language drastically like that at this age can harm him? Thanks a lot and have a nice day Adam! Eric, thank you for offering more information. First, and fundamentally, it’s not clear to me why you and your wife don’t feel a stronger desire to hand down your native language, French, to your child. I mean, even if you don’t feel this is important to you as parents—at least at this moment—isn’t it important for French-speaking family members and friends? And even if you don’t feel this importance now, isn’t it possible that you could come to feel regret, later on, for not seeking to nurture this language in his childhood? So I would encourage you to consider your choices and actions very carefully and not put unnecessary emphasis on Spanish at this critical time. Of course, you’d like your son to successfully acquire Spanish, too, but this can happen at a later stage, through schooling and society. It needn’t—and to my mind, shouldn’t—be your highest priority. I know you’ve been using English with him so far, but because he’s still very small, shifting to French and establishing a new pattern of language usage shouldn’t be a lasting concern. Just monitor his behavior and be sensitive to his feelings. In fact, you have conducive circumstances for raising a trilingual child, but you must pursue suitable choices and actions in order for this potential to be realized. I send my best wishes for your success. My son who’s 6 years old attends an English medium school and almost all the students’ minority language is English in there. My husband and I speak to him in the majority (community) language. However, when he does homework I speak to him in English and read/tell English stories too. He can speak in both languages. But, when compared to a child at his age who’s attending a school of majority language, my son is behind in general knowledge. On the other hand, when he does his school homework he required constant support; still he has mainly English language and Maths. I find it’s very difficult to make him understand Maths. He went to his classmate’s birthday party yesterday; I observed the children speak very little English with each other (compared to majority language speakers at the same age) and due to using majority language is restricted in the school none of them speak it either. So, their behavior is younger to their age too. Many of them were just screaming, rolling over the floor etc. In the coming September my son will be in year 1 and will have to study many subjects and the school follows an advance syllabus too. I’m just considering maybe I should put him into a school which uses majority language for the instruction. English will be only a subject in there. So, I can help him for English at home. However, when he does higher education (after year 11), he will have to choose a subject stream (eg. Accounting, Science, Maths, Art etc) and will have to study in English. We thought studying all the subjects in English will help him for higher studies in future. But, I’m thinking now, to study one particular subject stream, does he have to study all the subjects (history, geography, religion, art, etc) in English. It seems it gives him a lot of stress as he has to make effort to understand this. He’s becoming irritable, refusing to go to school too. If I give good support for English at home won’t it be enough/helpful for his higher education in future? Apart from that he’ll continue to study English and English Literature in a majority language school. I would really appreciate your advice on this. *Where do you live? How widely is English used in your society? *Does the public school system teach English fairly well? Do a good percentage of the children leave high school with some English ability? *How long has your son been attending school in English? *Why exactly is he “refusing to go to school”? Thanks! With this information, I’ll be better able to offer my thoughts. Thanks for replying to me, Adam. 1) I’m from Colombo city, Sri Lanka. Many people in Colombo city are able to speak English, but they usually use native language Sinhala or Tamil in conversation. However some parents speak in English (minority language) with their children if they study in international schools. 2) Public schools offer English from Year 3 to Year 11 classes as a subject which provides fair knowledge of general English. Many children follow English with extra support classes. They’ll be able to read and write English but majority of those students never speak it unless there’s support at home for speech. 3) He’s going to complete 2 academic years of being there in upcoming July 2016. My husband speaks English too but he stopped talking it at home as we want our son to improve his Sinhala. Sashee, thank you for sharing more about the situation. If there seems to be sufficient support for English from you and your husband, as well as school and society, then perhaps full-time schooling in English isn’t necessary. I think this depends on your feelings about your son’s education in Sinhala (and Tamil). If you’re concerned that “too much” focus on English is undercutting his development in the majority language(s), then you might want to shift to a majority language school and see what that experience is like for him and for your family. Maybe that approach would offer a more suitable balance of exposure between the two languages. I wish you all the best on your bilingual journey! Thanks for all your tips! We are raising our children to be bilingual (English and Spanish). It is going well and so fascinating to watch! I am a speech therapist and many parents who have children with a speech delay decide to switch back to just one language which is NOT recommended and NOT helpful. I have more information on bilingual language and speech therapy that might be interesting. I’m glad that your bilingual journey is going well, and I wish you continuing success and joy. 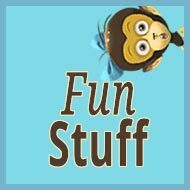 You might find my forum, The Bilingual Zoo, of interest, too. I invite you to join us! Are we right to be throwing all these varieties at them? It’s mimicking the linguistic situation in the Arabic world, but sometimes I wonder if it’s too much. Where we’re at so far (ages 3 1/2 and 2) is that they seem to understand Tunisian and Moroccan well (I can’t tell how much of the Egyptian they understand, since watching movies is passive), but they tend to only speak in English. I’m going to try to increase the amount of Tunisian we speak to them to combat this — thought they also do this with the nanny, even though she doen’t really speak English at all. Karen, while I’m not familiar with Arabic, and how different the varieties are, I do think it would probably aid the process of acquisition if the number of varieties was mindfully limited during these early years. I’m not sure if the analogy holds, but given a similar situation with small children and different varieties of English (American, British, Australian, etc. ), I would try to focus the exposure on one of these varieties, to the extent possible, with the idea of nurturing a firm base in that variety and then expanding the range of varieties, as needed. Of course, children are capable of gradually distinguishing a great number of languages and language varieties, but you may strengthen their development, and their use of the main variety, by putting more emphasis on that particular language. My guess is that their English is growing dominant as a result of heavier overall exposure to this language in combination with the “split” taking place among the different varieties of Arabic, which, of course, reduces the amount of input for each one. Thank you for your response. Yeah, Arabic’s difficult because the linguistic situation is so complicated. Each country has its own “dialect” , but is considered by the speakers to be a “corrupted” form of Arabic, so writing/education/government is all conducted in Standard Arabic (which is actually nobody’s native language and has to be learned at school). But because it’s considered very important for children to learn the standard language, pretty much all materials produced for children are in SA. There are literally no cartoons, and very few books, produced in Tunisian Arabic. (I really loved your idea of getting wordless picture books that we can narrate in Tunisian and I think we’re going to do that.) In addition, the media centers of the Arab world are Cairo and Beirut, so most pop culture (music and movies, including some for children) are in either Egyptian or Lebanese. And the differences between the “dialects” are big … Some of the vocabulary differences I’ve noticed, talking to the nanny: they use different words for “eggs”, “baby bottle”, “potty”, “shoes”, “lamb”, “pretty”, “nice”, “good”, “to be able” … etc. (When the nanny is speaking on the phone to another Moroccan, I can’t follow the conversation very well, but my husband can. When she speaks to me, she unconsciously modifies her language to be less Moroccan, and uses a lot of what I recognize as Egyptian vocabulary.) But the phonetics and grammar are mostly the same. Between Tunisian and Egyptian, though … yikes. Several letters are pronounced quite differently, and there’s sizeable differences in grammar (verbs are conjugated differently, for example). Moroccan and Tunisian might be like American/Australian, but Tunisian and Egyptian are probably more like Spanish and French. But, like I said, this is the linguistic situation. My husband grew up speaking to his family in Tunisian, to his teachers in SA, reading books in SA, watching movies in Egyptian, and singing pop songs in Lebanese, and that’s just the way it is. Sorry, you probably didn’t need to know all that. But I like talking about it because it’s part of what makes studying Arabic both so maddening, and so fun. After reading a lot of the posts from your site yesterday (so glad to have discovered it, by the way), I think our main problem is just that we were using way too much English with the kids, and in the house in general. I told my husband that I’d resolved “al-3arabiyya akaho!” (Arabic only), and yesterday we both only spoke Arabic with them, and with each other. Even from just that short intervention, I noticed a difference in the amount of Arabic they were producing. So I think we’re on the right track. Thank you so much for your advice, and for this great site! Karen, I’m grateful for the insight into the varieties of Arabic. I hadn’t realized that the differences could be so large and I now understand more clearly how challenging these circumstances must be for your family. As you’ve already discovered, the first important step is proactively managing your use of English. The more consistently you and your husband can emphasize Arabic (your main variety or varieties of Arabic) and “de-emphasize” English, the more progress I think you’ll experience. And yes, wordless picture books would be a valuable resource in your situation. I recommend them highly! Karen, I’m really glad you’re finding my work a useful source of support and I look forward to hearing more good news from you as time goes by! Keep at it, day by day! So all I can say is don’t be discouraged, persevere, and believe in your child. Lovely video, Kinga! Thank you for sharing it! And congratulations to you and your family on all the happy success you’re experiencing! Your advice to other parents is absolutely right and I hope your example can be a source of encouragement to other families in their bilingual or multilingual journey. Hi Adam. Thank you so much for sharing this list. So many useful tips. My wife and I are trying to raise our daughter to be bilingual (English and Russian). It’s a challenge, but we’ve decided on the following approach; my wife ONLY speaks Russian with our daughter, and I will speak a mixture of Russian AND English (just making sure never to mix the languages in the same sentence). What do you think of this approach? We live in the UK, so I have no concerns about her speaking English, just concerns about her exposure to Russian. My daughter is now 20 months and can speak a handful of words in both languages. At the moment she is being exposed to enough Russian, but I guess the issue will be when she starts preschool and speaks English most of the time. I wish you all the best with your bilingual journey as well as with your blog (I enjoyed my visit). Thanks a lot for your website and book! Nelli, thank you for your kind comment! I hope my work can continue to be a source of support and encouragement for your family. And along with my blog and book, I warmly invite you to make use of my forum, too. It’s a really lively and helpful community and membership is free!